Have you started earning Swagbucks yet? In case you haven't heard of Swagbucks, it is just like any other search engine except you may earn Swagbucks when you search. You then use those Swagbucks towards gift cards, Swagstakes, etc. 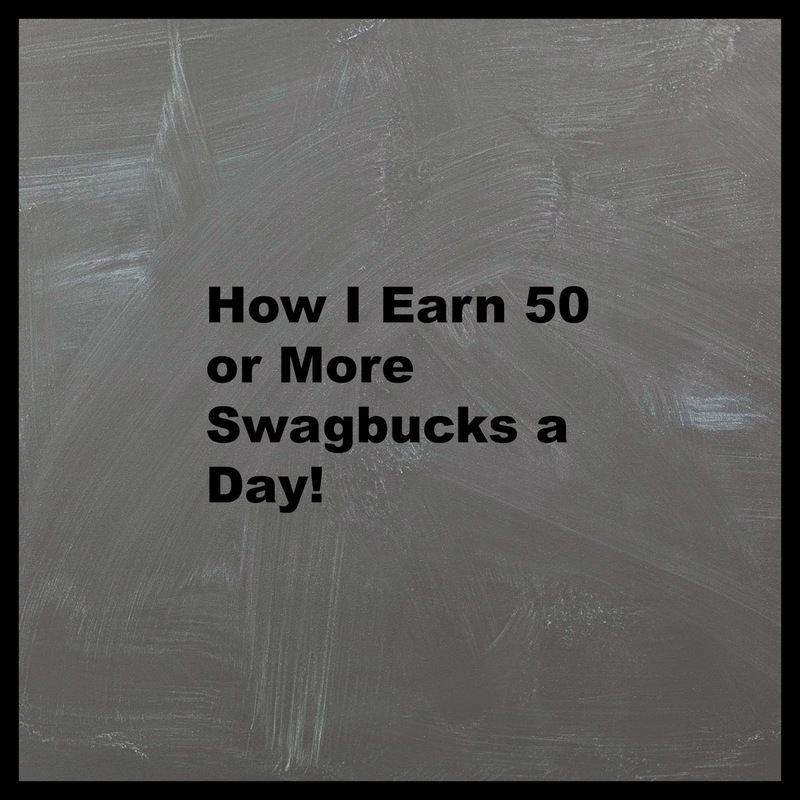 There are other ways to earn Swagbucks and here is a list of ways I have been earning a average of 50 or more Swagbucks a day! 1. I automatically get a Swagbuck every morning because I've downloaded their toolbar. 2. I take the daily poll. One easy question and I've earned 1 Swagbucks and it's kind of fun! 3. Then I go to the NOSO (No obligation Special Offers). I start the path and click through where it says more offers. 4. I check my inbox - I checked out the coupons for two swagbucks and took a quiz for 2 more. I again checked my inbox this evening and watched two videos for a total of 4 swagbucks plus answered a very quick survey for 1 swagbucks. 5. I answer surveys - I answered one for 16 Swagbucks and another one for 48 swagbucks! I was also was disqualified for two. I could have answered two more surveys but I ran out of time today. 6. If I have something to search for I make sure I use my Swagbucks search engine. 7. I may find a special swagcode. I don't look for them usually but it's always nice when I find one. I read excerpts from books -I can earn 2 to 8 Swagbucks per excerpt. These are not updated daily, I believe it's more like monthly. To read excerpts you go to the Discover tab and click on read then pick out the book or video you would like to watch. Some days I may play games - I love solitaire -play twice and that's two swagbucks. Today so far my total is 81 Swagbucks! (I may not have time tommorrow to do surveys so this is where the average comes in). 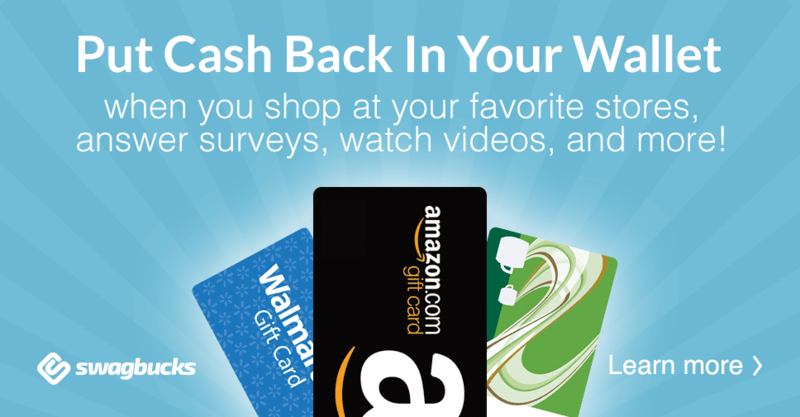 I took a poll last week where they told us the #1 way to earn Swagbucks is through referrals. So if you invite a friend you earn 10% of the Swagbucks they do for life! This post has been linked to The Clever Chicks Blog Hop at The Chicken Chick.